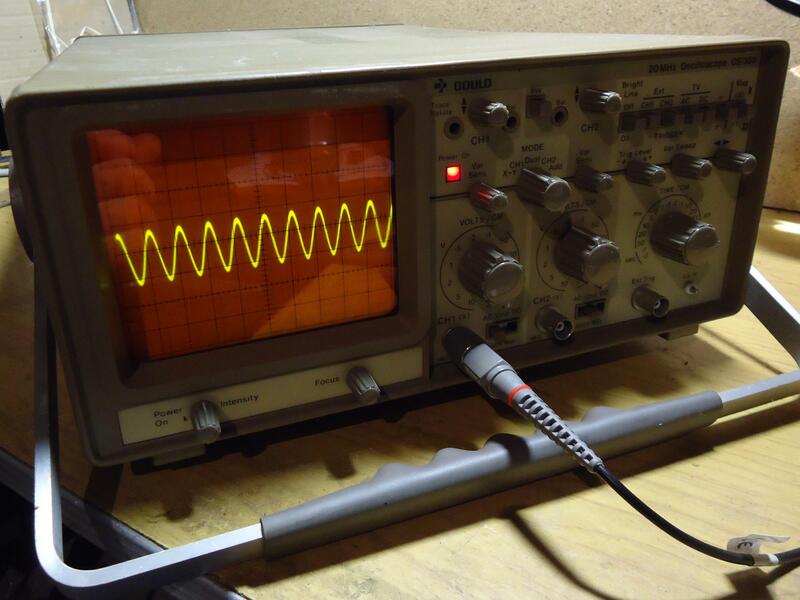 I was successful in repairing mains transformer for old analog oscilloscope, with secondary failure, and a few more things. Of course it is possible to complete these repairs without machine, by winding it manually but it is time consuming. Start by complete demount of transformer unit and its clamping screws. 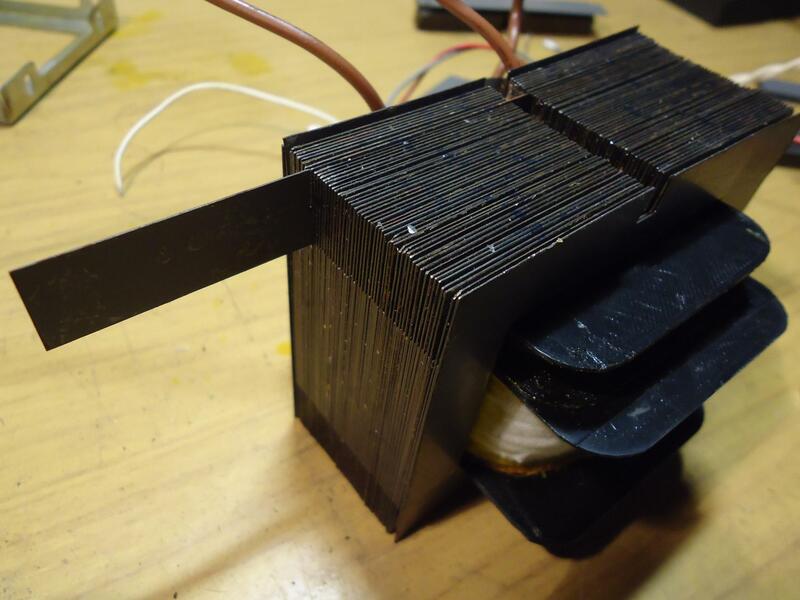 Most of the magnetic cores are made of metal sheets in typical EI lamination. 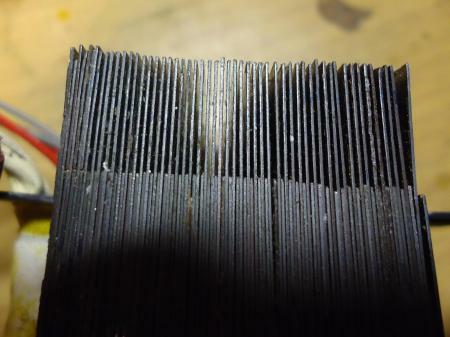 Measure thickness of whole core pressed stack of sheets, it will be important when recreating the bobbin. Strip the core by removing the first front sheets, using pliers, knife and hammer. 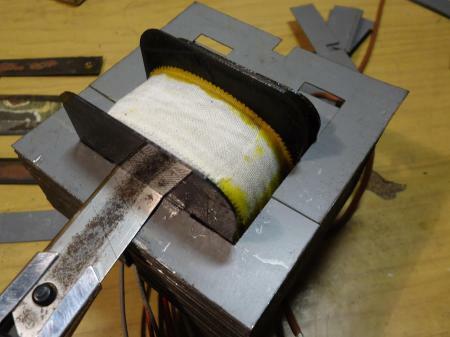 Sometimes a whole transformer is impregnated in thermosetting varnish and it might be hard to remove those first sheets without damaging them. Once removed, it becomes easier to get out next magnetic sheets, try hard to not bend them or scratch the thin oxides layer. 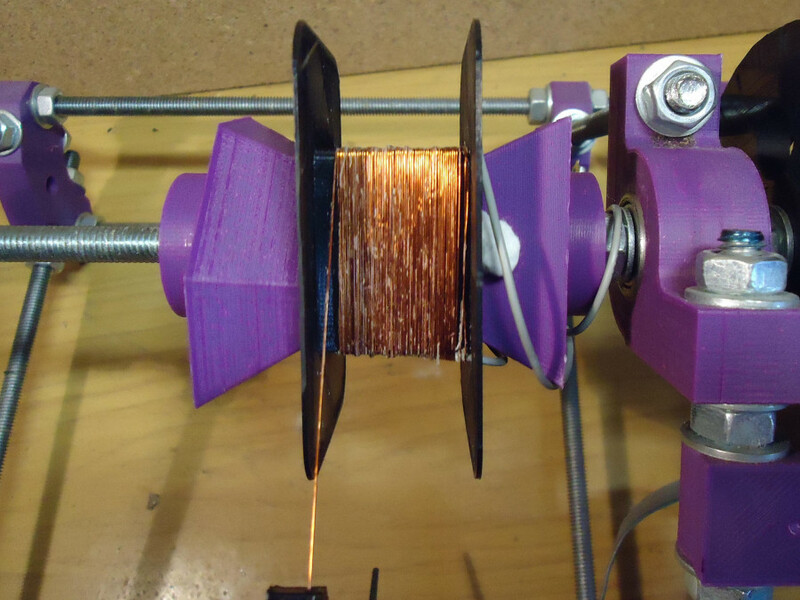 If coils bobbin is not damaged after all of those manipulations or toasted, it can be reused. 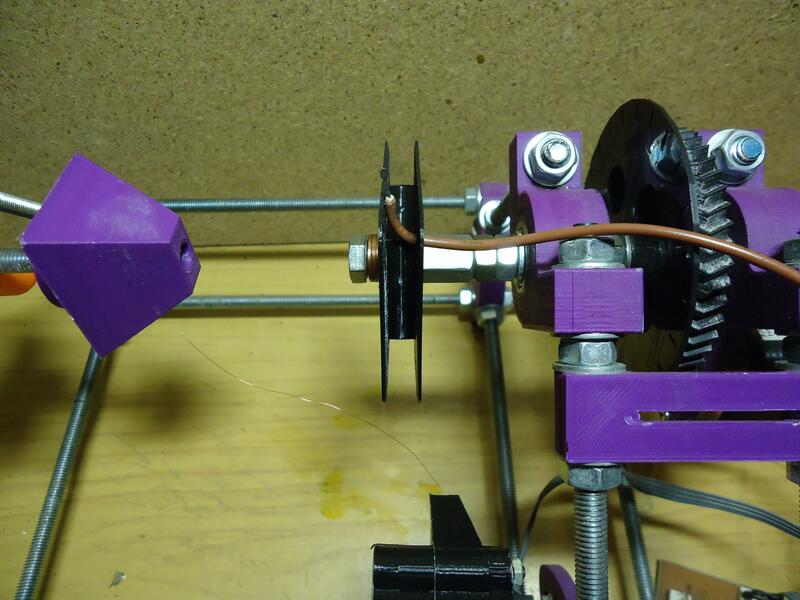 In my case it was made of insulation paper, so I couldn't recycle it and decided to 3d print new bobbins. Once got the coils separated form core, there is time to count windings, one way is to simply unwind. 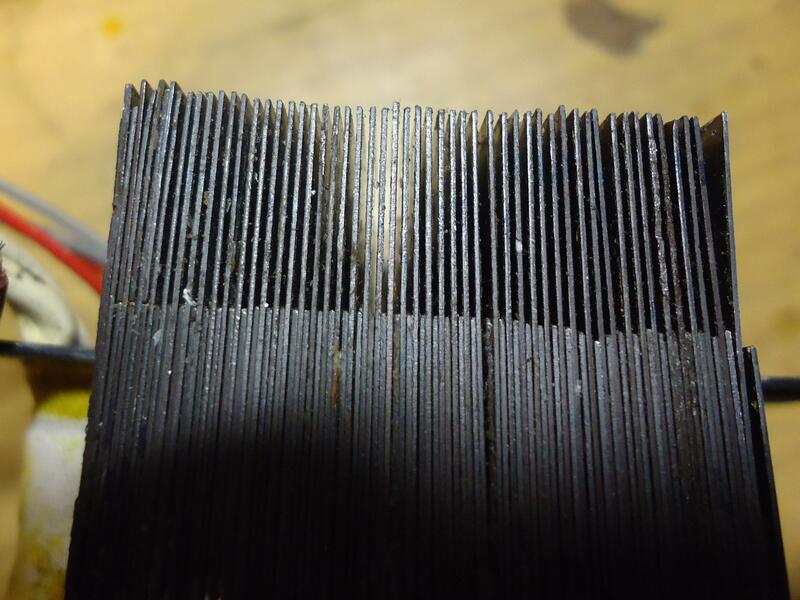 Sometimes it might be better to cut the coil with hacksaw, take a photo of cut section and count each copper spot, simple graphics editing program might be helpful there by drawing a point on each wire. Core permeability: unknown, but not bad. 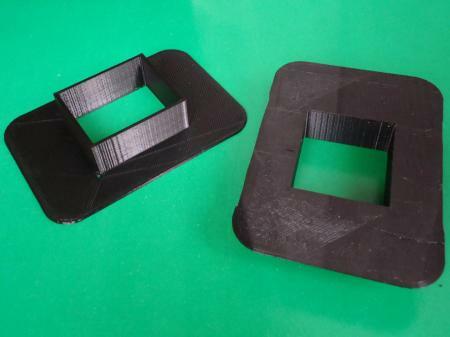 Core column dimensions: width: 29 mm, hight: 35 mm, depth: 42 mm. Wire dia for primary and secondary: 0,25 mm. 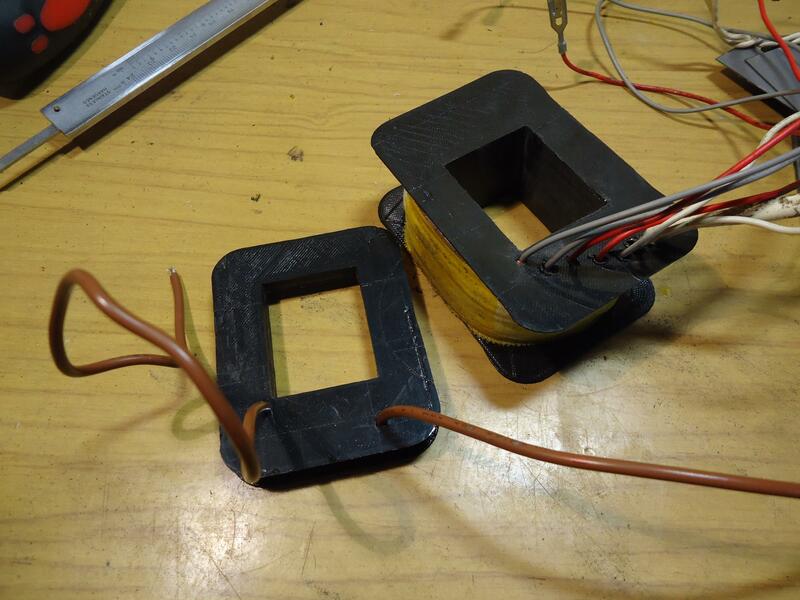 Wire dia for high voltage secondary: 0.08 mm. 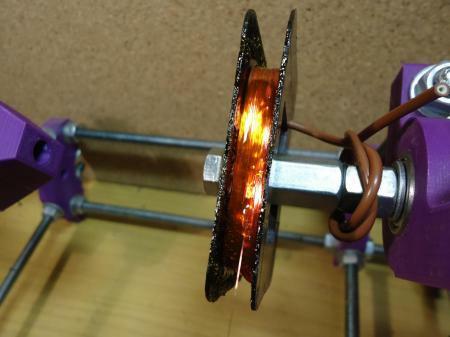 820 turns for 230V or 2 windings x 410 turns (connected in parallel) for 115V. 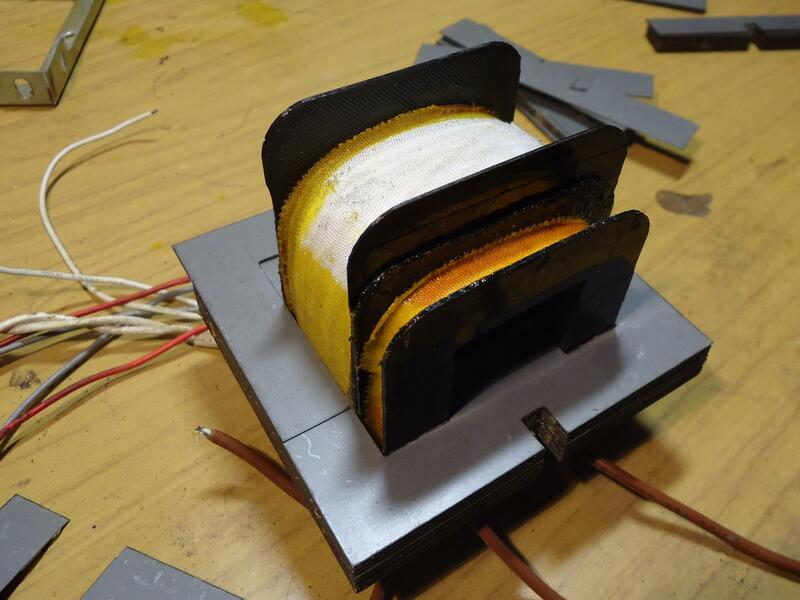 Removed and cut transformer coil. 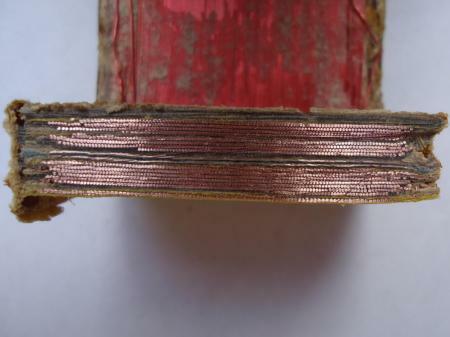 Notice additional paper layers to separate each winding, which are made in a way "one on another". I decided to separate HV secondary onto another bobbin. New coil bobbin was made on 3d printer from ABS plastic, according to all taken measurements. ABS can handle higher temperatures than PLA, around 150C. 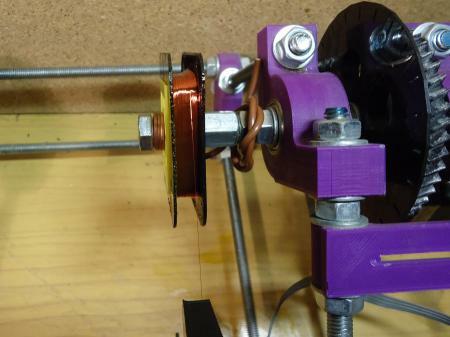 OpenSCAD parametric file for making new custom bobbins is enclosed in to repository and accessible there. Both halves need to be glued together with cyanoacrylate glue. 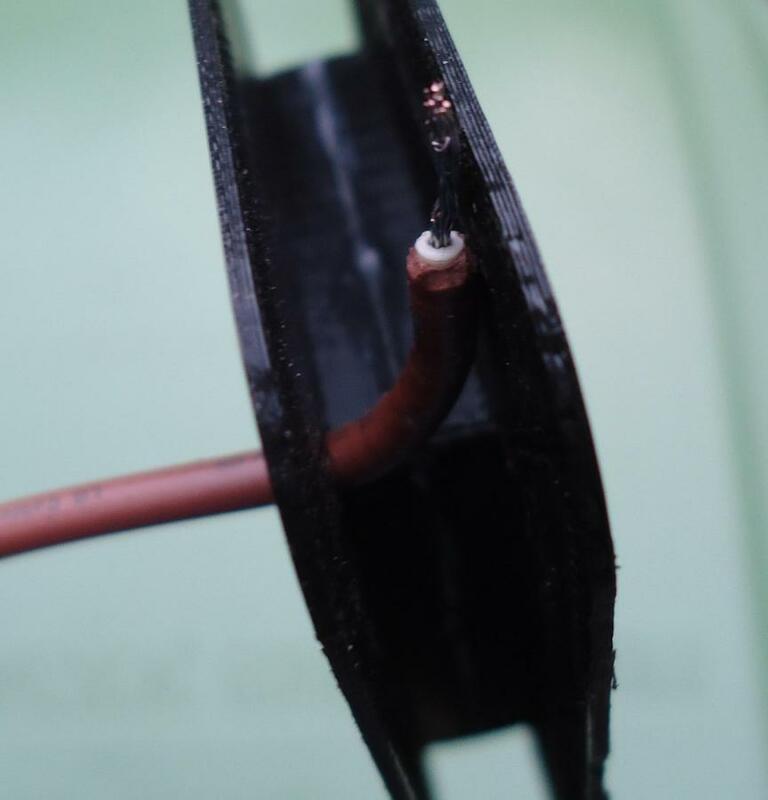 Put a PVC insulated cable through first hole in bobbin wall, solder it to the enamelled copper wire and secure with heat shrink tube. 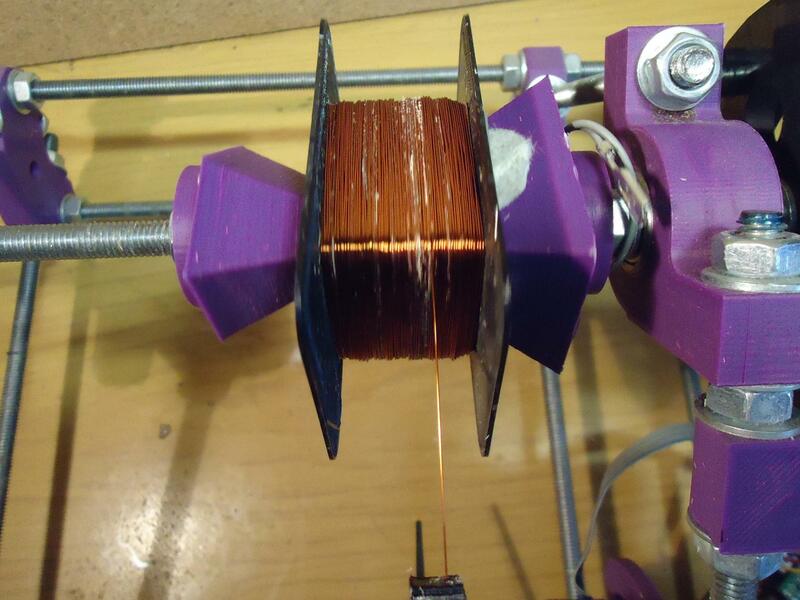 First winding layer in progress. I have been using wire recycled from MOT, because why not if parameters fit? 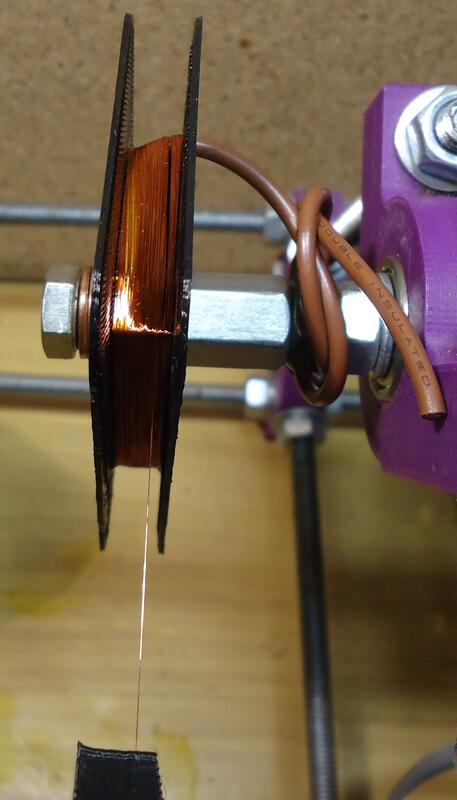 Further progress on primary winding. 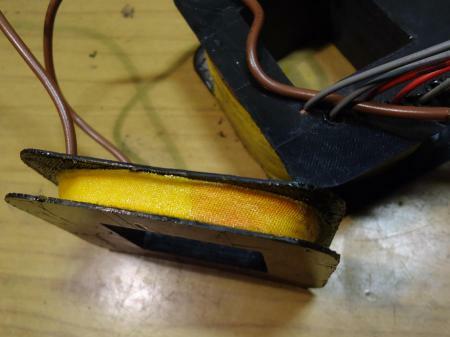 When it is finished, carefully (to not damage the wire) make a hole in bobbin for second wire terminal and connect it in the same manner as fist. 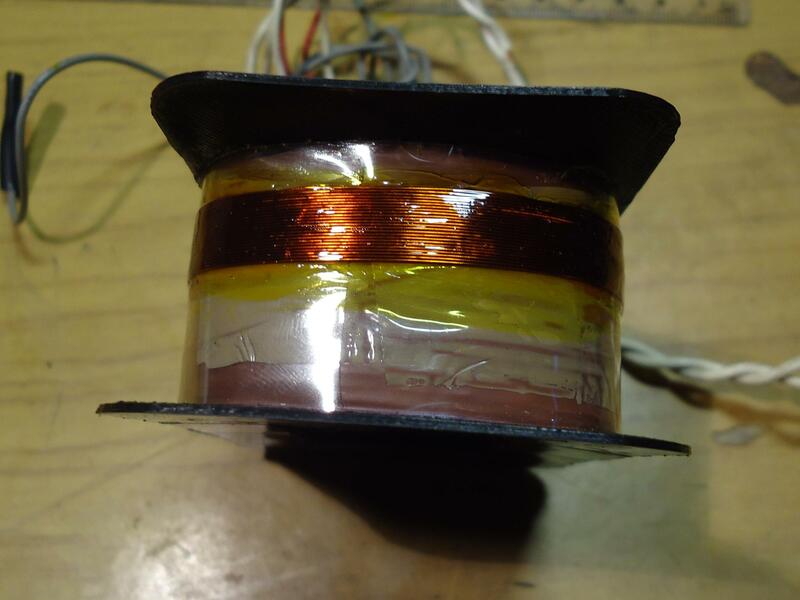 Every winding is separated from others with a few turns of “mylar” polyester film. I don't recommend using electrical tape only. 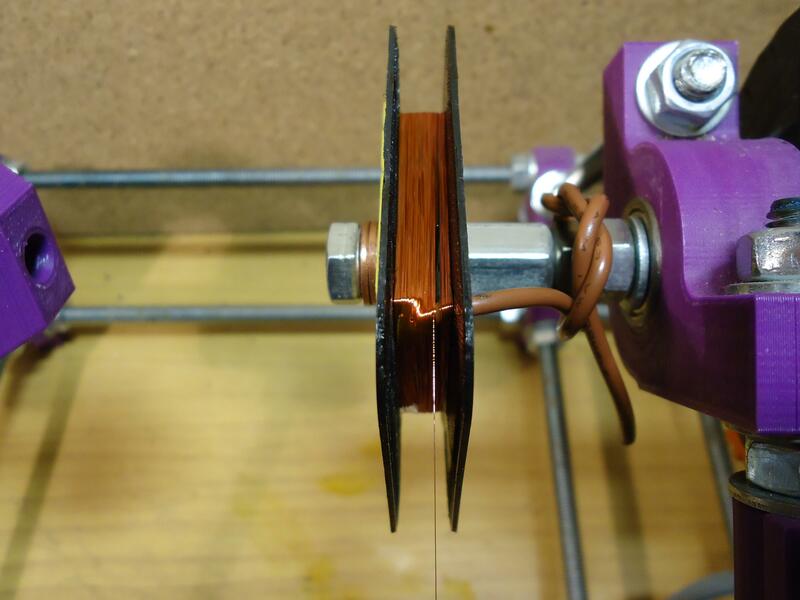 The last 6.3V RMS winding for heater power, additionally covered in lacquer. This winding produces low voltage but works in higher potential (about 2kV) comparing to other windings, therefore it needs very good insulation. As it was mentioned earlier, high voltage secondary is wound on separated bobbin, this arrangement does not affect performance for low frequency transformers, it is just a matter for reliability. 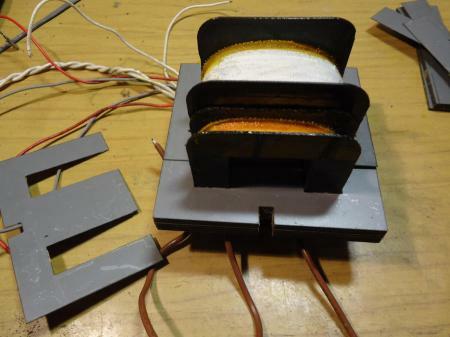 Notice how other HV transformers are manufactured, windings are divided into separated sections to reduce potential between each wire layer and insulation breakdown. 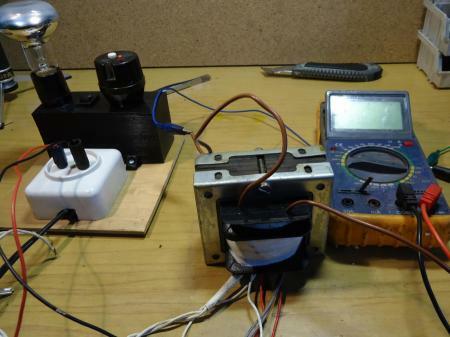 Coil winder from this project is able to operate on small coils and thin wires. High voltage secondary bobbin preparation. 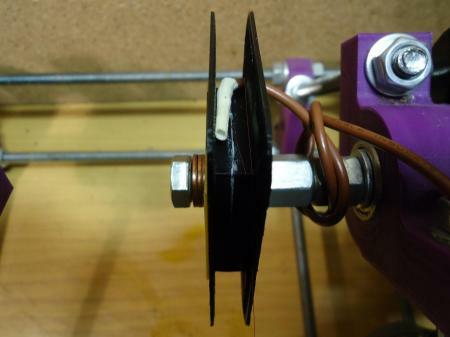 Mounting bobbin on winder axis, additional mount part was printed and bobbin was just pressed on it. Progress on first layers which is made of thin wire. In this case each next layer was painted with insulating lacquer. Applying lacquer with small brush after each layer is complete, it may be boring but it is recommended for those working conditions. 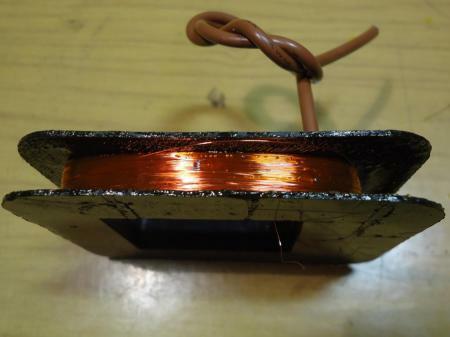 Finished winding, prepare and solder second terminal cable, check coil resistance. If everything is fine turn on it some polyester film and cotton tape. Bath whole thing in insulating lacquer and let it dry (or bake it in oven, if it is this kind of lacquer). 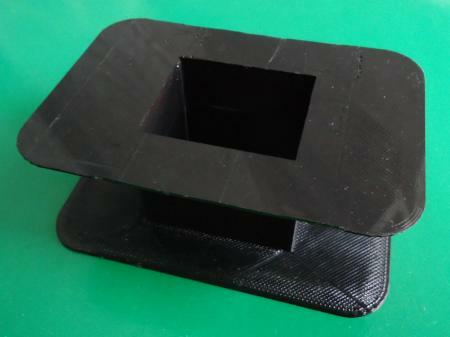 For test run core might be assembled in simple temporary way: all "E" parts together and all "I" parts as well. It may be hard to slide in all the sheets and several pieces may left, remember to avoid scratching the sheets. Connect transformer to test circuit and measure current when running without any load. 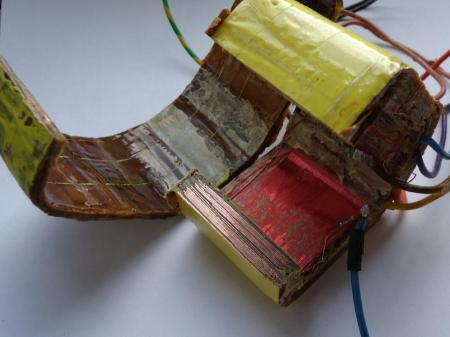 This idle current should be around 300 mA for now (because of huge air gaps between core iron sheets), later on it drops to about 30mA when core is assembled in right way. 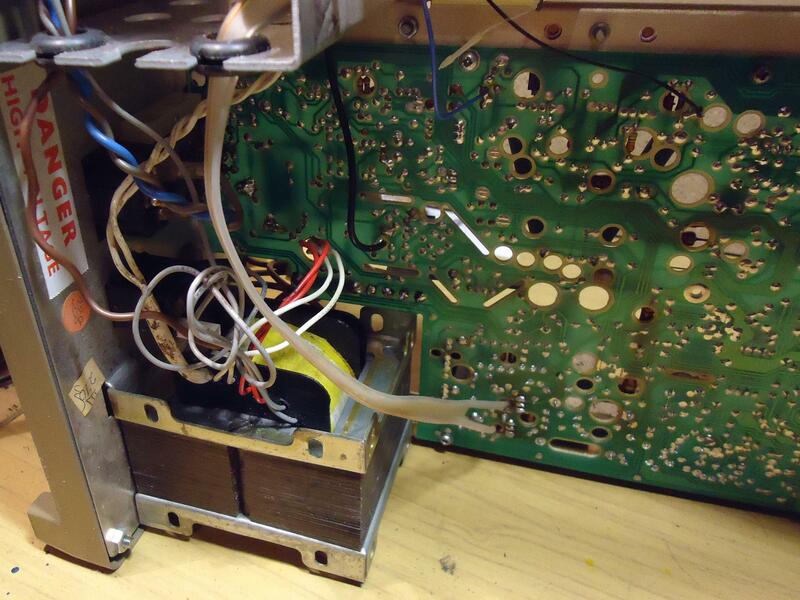 Check also if other secondary voltages are in intended ranges. Now you can start assembling the core as it should be. When it all starts to fit tightly it may be helpful to press some blade into silt on opposite side, as shown in the left picture. 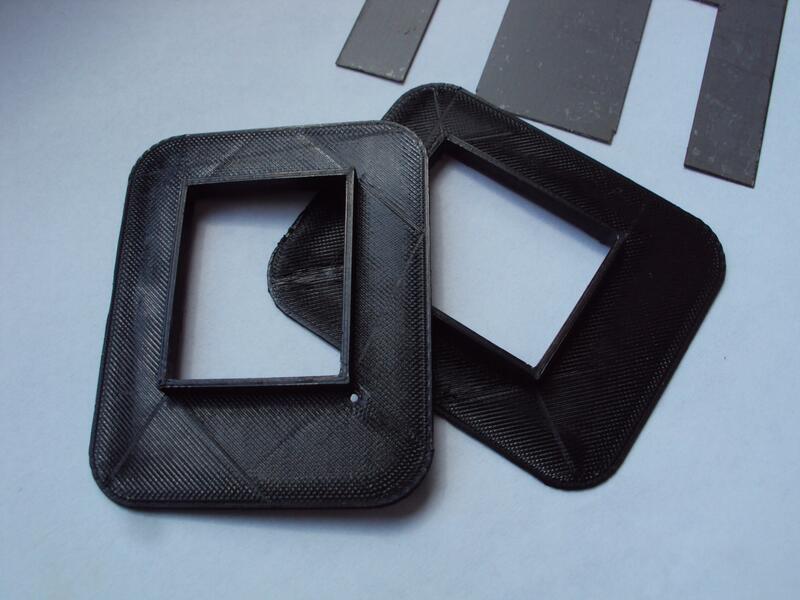 This tight fit is important for noise reduction and performance overall. 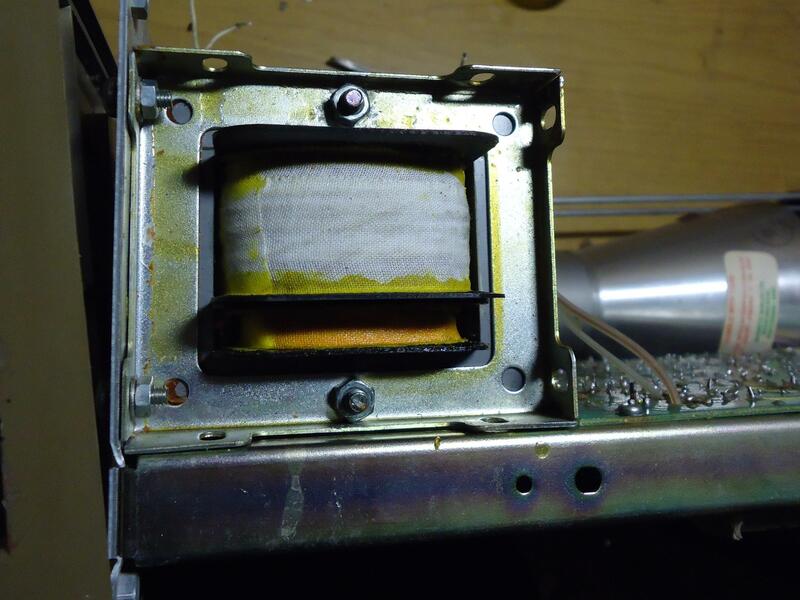 Thats also the reason why I mentioned taking the measurements before disassembling the transformer. When all the "E" sheets are in place, start sliding in the "I" pieces. 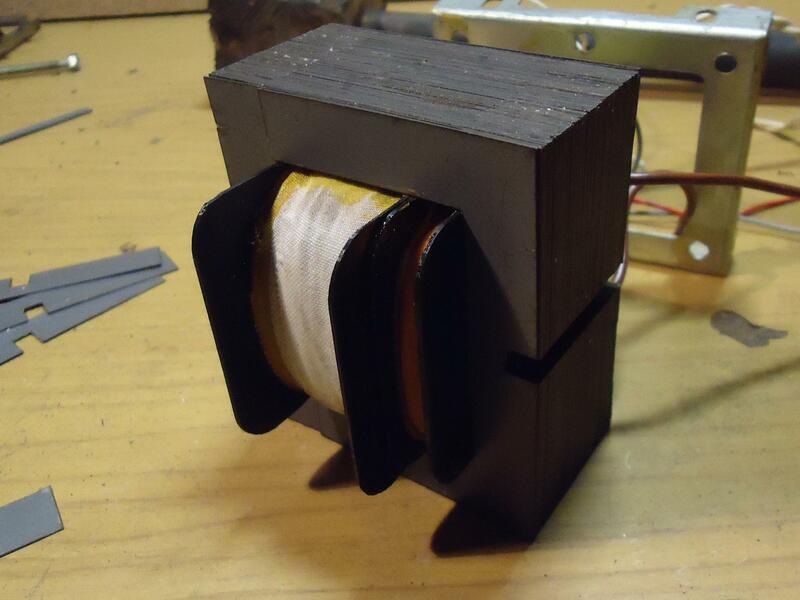 Progress of sliding in I sheets and assembled transformer. Hammer all the core on flat surface with rubber or wooden hammer, all air gaps between sheet edges and connections are unwanted and they decrease performance. 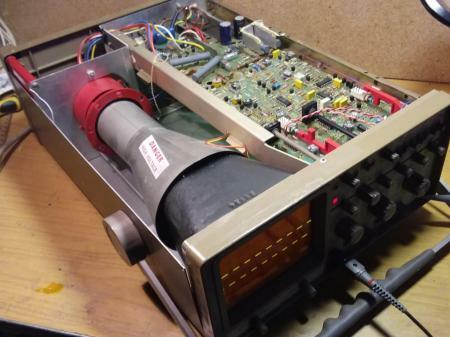 Finally there is the time to mount all the screws and put renovated transformer into its place, CRT oscilloscope in this case. Gould OS300 20MHz oscilloscope from 1984.